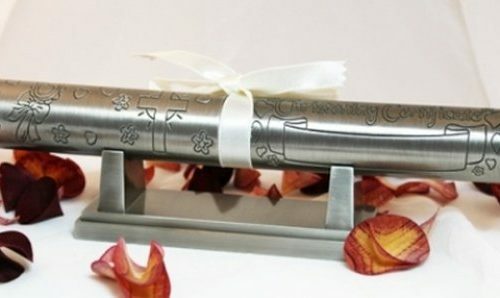 This stunning pewter Christening certificate holder is the perfect keepsake! Christenings are a milestone in a child’s religious journey, to celebrate this why not keep your certificate safe in this wonderful certificate holder? 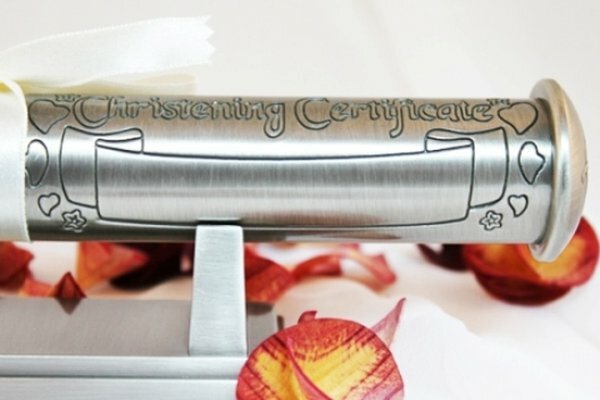 This certificate holder features a special place for the child’s name and the date of the Christening to be engraved onto the holder. The certificate holder comes with a stand so it can be easily displayed in the child’s room and is presented in a lovely gift box perfect for gifting.